But former Formula 1 supremo Ecclestone, who remains friends with the 31-year-old, told Sport Bild: "F1 needs a Sebastian who wins. People underestimate him. He will find a way out of the low he's in. "I've thought a lot about it, because I really like Sebastian and he is my friend. He often makes silly mistakes when he's fighting Lewis. It's like a mental block for him. "Sebastian really respects Lewis and wants to do better than him. In Bahrain, he could have overtaken him later because his car was faster." Ecclestone thinks Vettel has the ability to win as many titles as Michael Schumacher did, but he also says Hamilton is on track to do that as well. 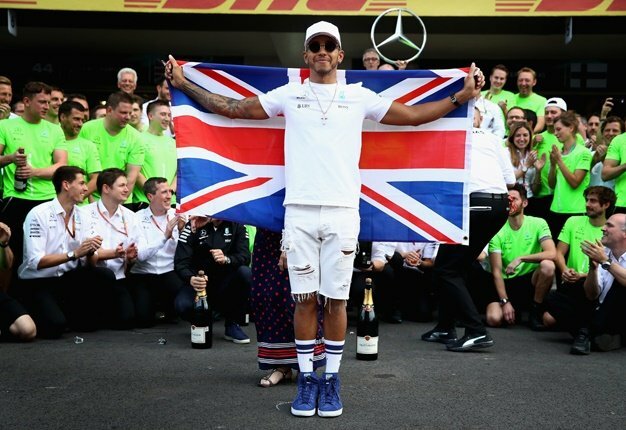 "He's in great shape," Ecclestone said of Hamilton. "F1 is basically Lewis' hobby, he's really comfortable." "I don't think he'll change teams now," he said. "I think if Mercedes stop in 2020, Lewis will stop as well." As for F1's 1000th race in Shanghai this weekend, Ecclestone said he will be barracking for Vettel from London. "He's got the car for it," he said. "When I talked to him about the German grand prix last year, he said he could have done the race 20 times over and not repeated that mistake. He really wants to win another title. But I'm not sure Charles Leclerc is ready to help him." Ecclestone concluded: "He won't change teams, he will end his career. And I think not much is needed for that to happen. Sebastian has a happy family life and does not want F1 to put him out of balance."